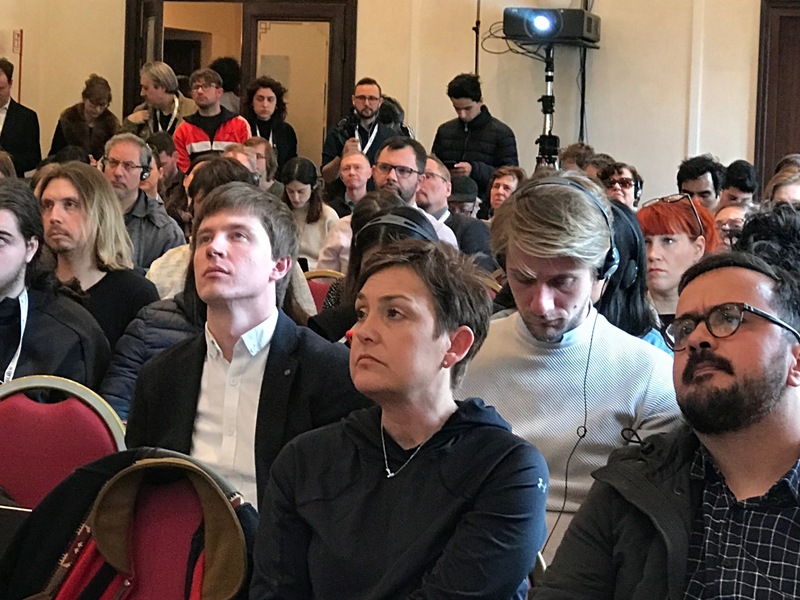 Over six-hundred journalists, photographers, professors, intellectuals, more than one hundred young volunteers, students and aspiring journalists from nineteen countries participated in three hundred events filling Perugia theaters, frescoed medieval guildhalls, an elegant hotel and noble palazzi. More than 600 speakers participated in 300 events (49% were women). Impossible to name all the topics but to cite just a few: fake news and “disinformation,” affronting global climate change, artificial intelligence, freedom of press and human rights in war-zone countries, humanitarian crises of immigration, new technologies in the field of journalism, swing to the right in the governments of Hungary, Brazil and Austria. Not only: two young Americans from the group March for Our Lives (survivors of the Parkland, Florida killings, February, 2018), Jaclyn Corin and David Hogg, spoke on the need to limit access to arms in their country – and in general. (Click here for a video of their interview). I missed their talk but did catch the one by Carl Voog (Whats App) on Whats App as a news and information source. And with all the young people with hands upraised for question after his talk, I felt honored to be called on, too, for my question. The founders are already on the search. May they succeed: “the best media event in the world” must live on. Read about why you cannot miss Perugia! Read about a reason to get to Perugia in July!